It’s always risky to base an artwork on a completely foreign culture. 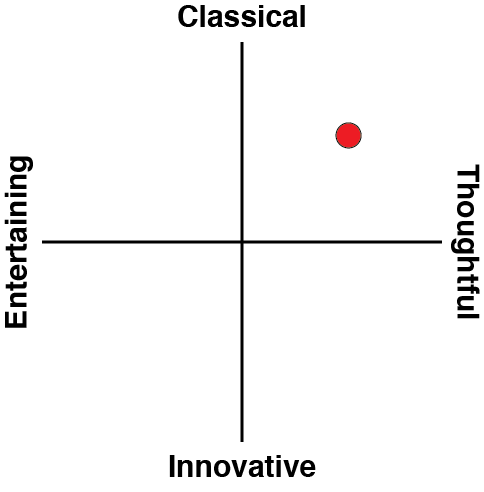 It can be done, of course, but regardless of how much you respect a culture, basing a work on it runs the risk of giving the entire setting a superficiality and shallowness that comes from not understanding the subtleties of that culture. Generally people will live in a culture for decades before feeling like they’re ready to use it as a muse. This is the problem that Aragami immediately comes up against. 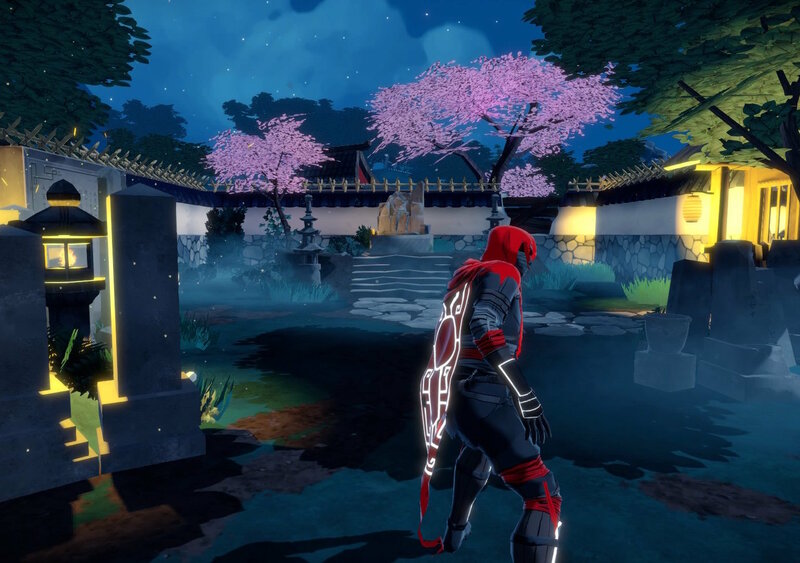 I’m not sure just how much combined experience the Spanish team at Lince Works has of life in Japan and Japanese culture, but what we get in Aragami feels very much like a game made with a love of Japan by a team with only a passing understanding of Japan. 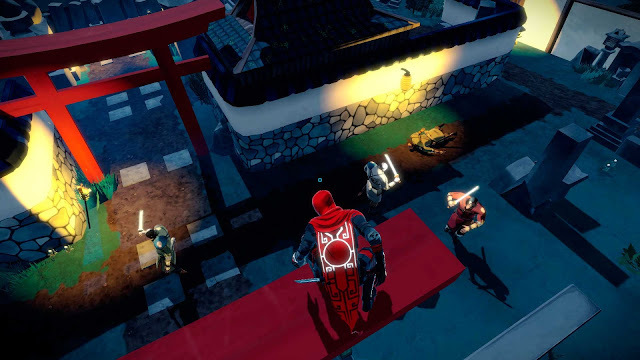 And, given that Aragami tries to be Japanese to its core, and a homage to the likes of Tenchu and Shinobido, a lack of nuance in the game leaves it ultimately feeling shallow and quite unfulfilling. Superficially, it is gorgeous. The team has an eye for the Japanese aesthetic that almost feels native. Set entirely at night, a warm glow from traditional-style lanterns casts pools of light across environments populated with the stark reds of Torii gates, and the graceful pinks of sakura. Buildings are meticulously designed with wooden supporting beams and tatami mats. Our own hero, comprised completely of shadow, stalks the shadows like the best ninja film heroes. His enemies are clad in the kind of simple, functional armour that characterised most of the Japanese city guardsmen of the period. Unfortunately for Aragami, the setting is so distinct and beautiful that the arbitrary level design begins to grate. 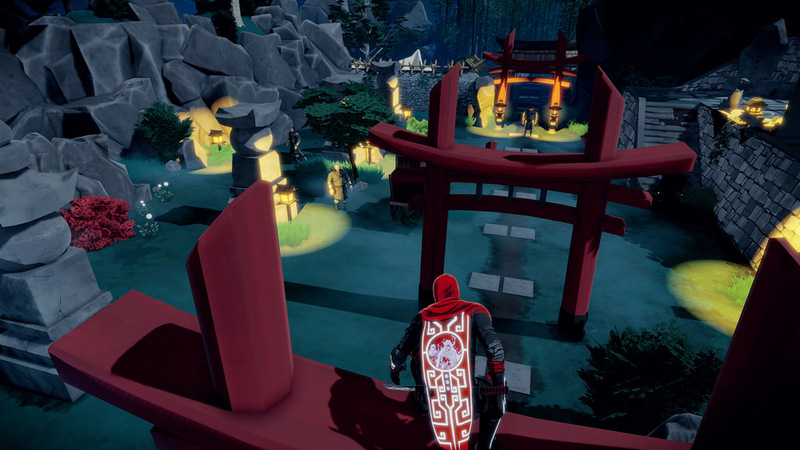 Torii gates are placed in the environment at the most odd moments that make no sense until you realise that they’re just conveniently in the right places to give your ninja a stealthy path across the top of them, away from enemy sight. Similarly, neither gardens and graveyards nor the inside of buildings are designed in such a way as they would be in Japan. This might sound like nit-picking, but environmental storytelling is an important part of modern game design, especially if you’re working hard to set the game in a very specific location, as this game does. Breaking the immersion by making the level design a little too obvious as level design is frustrating, because the raw effort that went into the aesthetics and art direction deserved far better. Stealth games, meanwhile, are up there with the most difficult to actually program, because they need to offer challenge, but also be logical and fair, and they really ought to give players a couple of different ways to tackle problems. A good stealth game is puzzling without being a puzzler; the moment there’s only one valid solution to a challenge is the moment you’re solving a Rubik’s Cube, rather than re-enacting the behaviours and strategies of ninjas. Aragami comes so close to getting the stealth right. There is a real sense of agency to the way you move your titular ninja around, and after the first couple of acts, he develops a substantial range of tricks and stylish ninja moves to get around, quietly dispatching enemies, or avoiding them entirely, depending on your mood as the player. Personally I never grew tired of my ninja’s ability to cast a temporary shadow in a pool of light behind an enemy, before using another ability to shadow walk right into it from a distance and stick a sword through the guy’s ribs before he knew what was happening. The sheer fluidity of that combo never grew tiring, though others will find completely bloodless runs a fascinating and challenging goal. What lets the stealth down is the enemy AI, and a lack of information being communicated to the player. There were times when I thought, standing just metres from the enemy, that I would be spotted for sure, and yet I wasn’t. Other times I would be assassinating an enemy and one of his buddies would spot me from the far side of a ravine. In principle the ninja is meant to be more difficult to spot while hiding in shadow, but in practice this was inconsistently applied, and typically the AI was too dumb to look up and spot me when I was leaping across the top of the Torii gates or wooden beams in the homes, but those rare moments when some soldier did spot me was often right before a checkpoint. That was irritating, because the ninja is hopeless in a stand-up fight, and it typically meant a trip right back to the last checkpoint. I appreciated that the developers wanted me paying attention to the world around me, and not looking at a minimap with enemy sight arcs, but the biggest problem the game faces is a complete lack of information on enemies – for the most part the best you can do is guess whether the ninja is in their sight range based on whether they’re facing him, but the actual “spotting” distance feels quite arbitrary at times. Later skill unlocks allow the ninja to “mark” enemies and the like, which makes the experience of skulking around marginally smoother, but still anything but ideal. I could also mention rare bugs like quest markers disappearing, but those are minor irritations at most. Other than the enemy AI the game is designed really nicely. 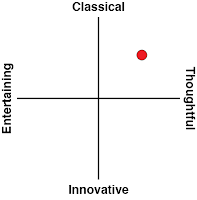 The actual placement of enemies is precise and designed well enough so as to enable a couple of different approaches to challenges in most situations. The narrative, however, is disappointing in the extreme, and the area where the imperfect cultural experience of the development team is at its most obvious. A sorcerer-woman has created Aragami from the shadows in order to save her from imprisonment. Within that broad narrative you’ll frequently be able to listen in on the bad guys as they natter on about their evil plans and how much they dislike their guard post, but it’s all far too simple, and none of it is in the traditions of Japanese storytelling. It’s never offensive, of course; if there’s one thing I am certain of after playing this game it’s that Lince Studios loves Japan. But there’s a clear disconnect between the setting and storytelling - it’s subtle enough to not be obvious while leaving the game feeling overwhelmingly empty. Related reading: Shinobido is a largely forgotten PlayStation Vita game, but for fans of ninja stealth games, this is a good option. 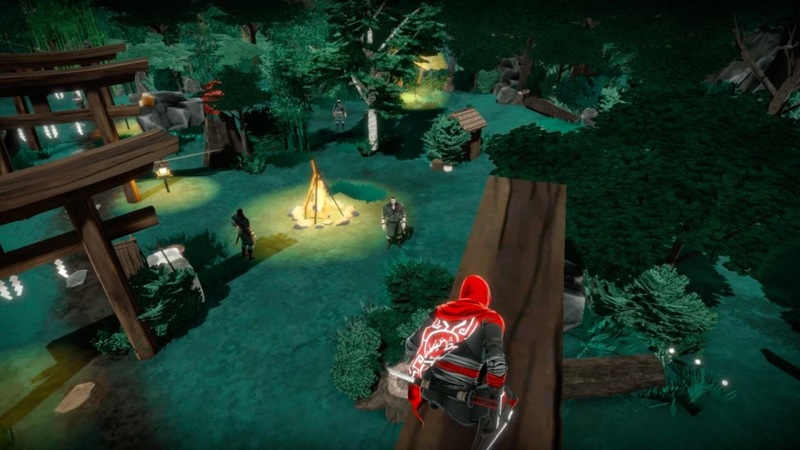 For its flaws Aragami is my kind of stealth game, and I had a good time with it. After spending a bit more time studying Japanese literature, and perhaps a couple of field trips to Japanese castles, graveyards and shrines to really understand how Japanese storytelling should look and feel, I really think an Aragami 2 could be something special.